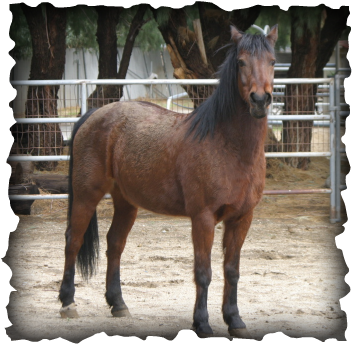 This website is dedicated to my beautiful bay mare, whom i adopted September of 2009. I just starting putting this website together, so please be paitant with me. Like most little girl's, I've had a love for horse's, since i was "knee high to a grass hopper". hehe! I love spending all of my free time with her, especially since i moved to a new place where i can have savvy at home w/ me. I hope you will take a minute to look around, enjoy, and please feel free to contact me with yourcomment's, question's, and or suggestion's. I update this website frequently. If you have a website like this, let's exchange banners.